Persona Non Grata is an innovative Hungarian band that appears to have merged punk and progressive rock, very similar to how the Voodoo Glow Skulls have combined punk, school band instruments, and rock standards. 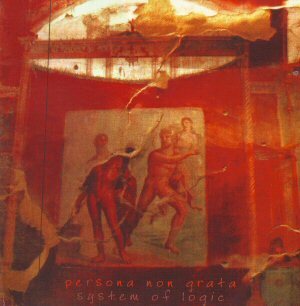 System of Logic contains four relatively short, energetic songs. The first song, "Minimal," has a pounding bass line that pays homage to Primus. The second song, "A Guy Go through the Zebra," has rapid drumming, staccato trumpets, and melodic chanting. The third song, "Green Grass," is a slower tempo funky song with “a rich man’s wife,” “green, green grass of home,” and other rock song samples swirling through the mix of trumpet, drums, guitar, bass, and Hammond organ. The last song, "Reminimal," is a remix of the opening track with a bit more emphasis on the drums and a lesser Primus feel. This band is definitely worthy of a much wider recognition outside Hungary. By all means seek this band out!